Airport parking in Vienna is a difficult matter and rather expensive, too, usually. What to do when you want your car parked safely for the duration of your stay or business trip? Vienna Airport parking at the HEINHOTEL is the answer! Park your car on our locked parking facilities and reach the airport by our private shuttle in only five minutes. Tailor-made parking packages with optional overnight stay and numerous other services for short-term and long-term parking at Vienna Airport make the HEINHOTEL parking facilities an easy and affordable alternative. Austria’s largest and most important airport handles approx. 17 million passengers every year. 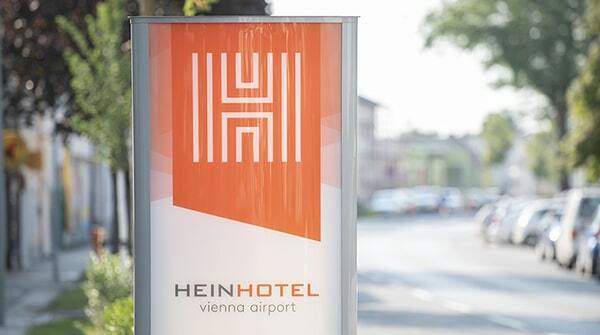 It is only five minute and two traffic lights away from the HEINHOTEL vienna airport. Your parking spot with transfer is only a few steps away – no more looking for parking options thanks to the parking manager, online booking and extensive HEINHOTEL services! Park your car and promptly reach the airport by 24-hour shuttle: Our Park & Fly offer allows you to affordably park near Vienna Airport without any hassle. Leaving in the early morning or arriving late at night? Longing for a quiet night before going on holiday? We recommend the HEINHOTEL package Park, Sleep & Fly Vienna!